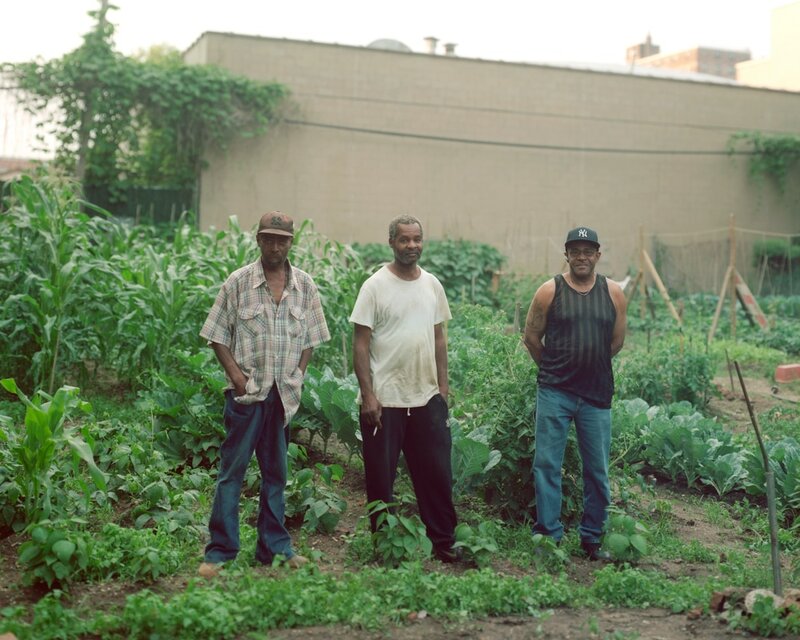 Joy Ellis: How did you first become interested in the subject of urban farming in New York? ​Rob Stephenson: My interest in urban agriculture was a result of winning the fellowship from the Design Trust for Public Space. The Design Trust Photo Urbanism fellowship is designed to support a photographer in documenting some aspect of New York City’s public space over the course of a year. The year I won the fellowship there was an open call for proposals on the topic of urban agriculture. Much of my work concerns the urban landscape and its intersection with the natural world, so the subject was a natural fit. JE: What are some memorable responses you have had to your Urban Agriculture, Transformations, and There Swept out of the Sea a Song bodies of work? RS: All of those bodies of work have resonated with different audiences, though they share the common thread of being New York based projects. 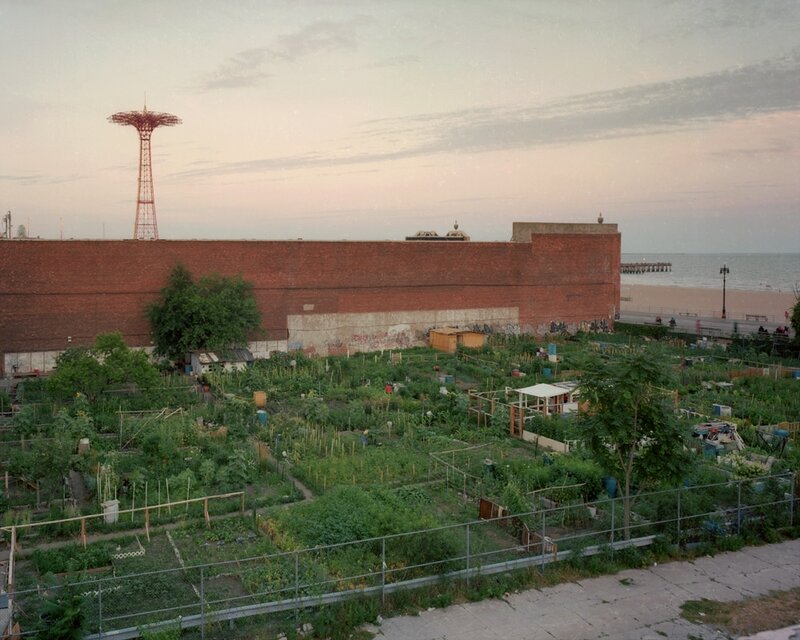 For both the Urban Agriculture and the Rockaway (There Swept out of the Sea) project, the most common response I get is skepticism that the photographs were made in New York City proper. In the case of the Rockaway project, many of the places I photograph are at the city’s edge, as far removed from the canyons of Manhattan as geographically and psychically possible. The remoteness and decidedly non-urban feel of these locations is of course what drew me to them in the first place. It is a constant motif in my urban landscape work, wilderness that isn’t completely wild, or conversely, a small bit of stubborn wilderness poking through the urban fabric. 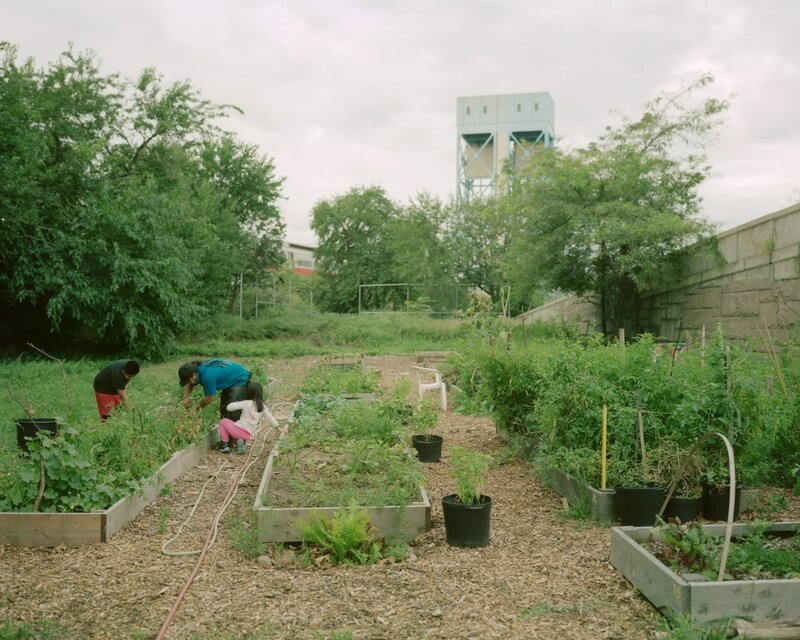 The Urban Agriculture project also challenges the assumption of how a typical urban landscape should function or looks. A densely populated and developed city providing fertile growing spaces speaks to the malleability of the landscape as well as the resourcefulness of the city's inhabitants. Of all my projects, this one has generated the most interest, due in large part to the current interest in sustainability and the farm to table movement. 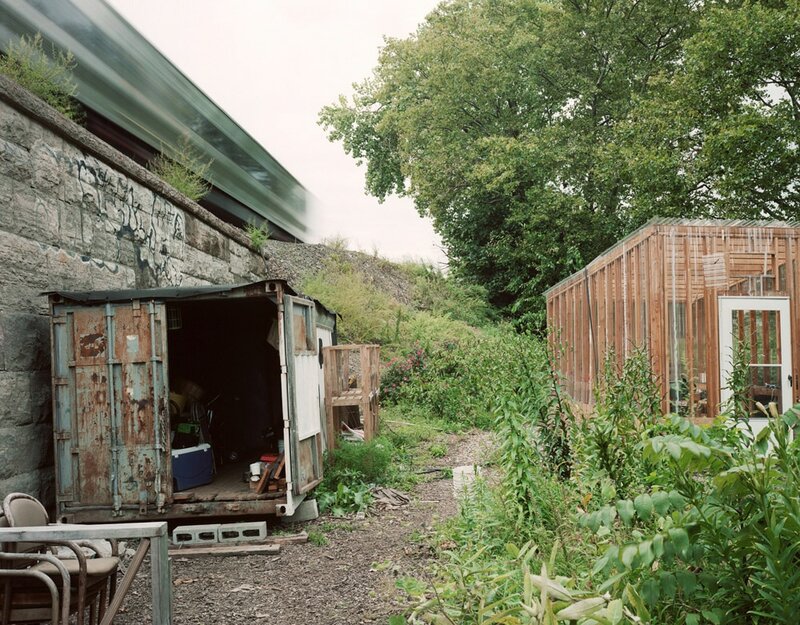 The Transformations project originally started as a way to chronicle the development boom that ended (temporarily) with the recession of 2007/2008. The project started out looking at the juxtaposition of older, existing architecture against the proliferation of new developments Since then so much development has taken place that the newer buildings I photographed have themselves been usurped by even newer buildings. It is coming up on the 10th anniversary of that project and I’m planning on revisiting the same sites to see just how much they have changed. The city’s constant and rapid evolution is really fascinating and I spend quite a bit of time exploring how that process manifests itself. JE: What do you feel are integral parts of your work and/or working process? Is there a “creative DNA” that you see re-occurring? JE: Who have been some of your photographic influences? Who/what has influenced your work that is perhaps not an artist/art? RS: I spent several years working with Joel Meyerowitz and he has probably been the biggest influence on my work. Pouring over his archive and, more importantly, being privy to his insight has been invaluable. I love really immersive, detailed color work and along those lines, I am a big fan of photographers like Joel Sternfeld, Bas Princen, Thomas Struth and Richard Misrach. I find that reading can often really help inform and inspire certain projects. A project I’m currently working on, Myths of the Near Future, looks at the space coast of Florida in the wake of the shuttle program’s closure. I initially got interested in the project by reading an article in the paper on the program shutting down. After my first trip down there I discovered a collection of short stories by JG Ballard exploring a near future after the space program has been shuttered. Those stories ended up being the main inspiration for the project. At the same time I was reading Margaret Lazarus Dean’s terrific Leaving Orbit which is a really interesting look at the end of the shuttle program. Having a mix of factual and fictional is important since the work itself straddles those worlds. I was a musician before I was a photographer and music has always played a big part in my life though I can’t say there are any overt musical influences that seep into my photographic process. Practicing though is something that certainly is applicable across both disciplines. I think practicing with your camera is just as important as practicing your instrument if you are a musician. Like I mentioned earlier, sometimes you need to just engage the muscle memory and things start to flow. Especially when working with the view camera, there are physical aspects to photographing that can be an impediment or an asset depending on how well you know your equipment. JE: What is the best piece of advice you’ve been given?